Great Place to Livesubmitted by Danyelle D. - Apr 08, 2019 |Recommended: YesSuper convenient because it’s right next to Fresno State. All the staff are super friendly. Easy to talk to staff regarding any complications or maintenance problems. response from property - Apr 09, 2019 Thank you for your review and feedback on your staff with us here at Bulldog Village. Our staff appreciates your kind words as i have relayed your compliments. I see you rated the noise at a 3 star, please let us know what we can do to help make the noise issue be taken care of. thank you again. The property is great and safesubmitted by Juan A. - Feb 27, 2019 |Recommended: YesI'd tell them to look into living here. response from property - Feb 28, 2019 Thank you for your review and comment. Nothing makes us happier than hearing you feel safe and can enjoy yourself. I see the noise was rated low, is there anything we can do to help this? I really enjoy bulldog village I always recommend this place to other people.submitted by Daniella R. - Feb 06, 2019 |Recommended: YesI would tell them that all the workers are friendly and they get to know you. Maintenance is on point when it comes to speed. The groundkeepers do a great job. response from property - Feb 07, 2019 Thank you for such a detailed and thoughtful review. I will relay your compliments to each of the staff. Please let us know if there is anything we can do to help you continue to be happy here with us at Bulldog Village. The property is very well taken care of and staff is very helpful.submitted by Jennifer R. - Feb 03, 2019 |Recommended: YesIt's a really nice place to stay at, maintenance is really quick on fixing problems and the staff offers great services. I really love living heresubmitted by Karina B. - Feb 01, 2019 |Recommended: YesThe staff is really nice and helpful. They have everything you need here and security that patrols the apartments. response from property - Feb 04, 2019 Thank you for your review and we are so glad to hear you love living here. 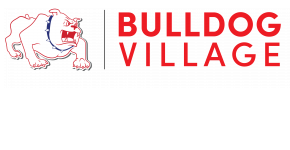 Please let us know if we can ever help with any of your needs here at Bulldog Village. Don't forget to stop in this month for our RAP events. Home away from Homesubmitted by Jazmine V. - Jan 03, 2019 |Recommended: YesIts pretty laid back and people are friendly, I've only been here a semester and have made some nice friends in the complex. Staff is super nice and maintenance is pretty quick to respond when work orders are put in. There is always good parking, except for on football game days spot will be taken quickly, but still have available spots . Noise levels aren't bad, but you can hear people walking around upstairs. response from property - Jan 04, 2019 Thank you for your informational review. We are very glad that you are pleased with your stay, other residents, and staff. Making you feel comfortable when away from home is our goal. Property is very nice convenientsubmitted by Mikaela S. - Jan 02, 2019 |Recommended: YesLiving at Bulldog Village has been great, there are activities to participate in, and the apartments are great for college students. response from property - Jan 03, 2019 Thank you for your review and for noting the activities that we offer, we enjoy being able to spend time with everyone. I see you may have some concerns with noise and parking. Please let us know your concerns so we can try and find a solution to better your stay with us. Enjoyable and convient living for college students.submitted by Jordyn S. - Dec 13, 2018 |Recommended: Yesit is decently priced, close to campus, I feel safe, and they are nice apartments. response from property - Jan 03, 2019 Thank you for taking your time to leave a review. We are very glad to hear that you are enjoying your stay here with us and more importantly we are pleased to know that you feel safe staying with us. I see that you rated 3 stars on noise and parking, please let us know what your issues are so we can make you feel the same comfort as you do with your safety. An average Apartmentsubmitted by Francisco C. - Dec 05, 2018 |Recommended: YesThe apartments inside are pretty well maintained, overall everything works and I am happy with living here. the only thing that bothers me is that the pool on the 2nd lot is not as maintained as the pool that is on their showcase side the side where the leasing office is. I just think that if you are going to put that much effort into the pool on that side, this side should be just as maintained. response from property - Dec 06, 2018 Thank you for your review and the time. We are pleased to inform you that we are currently scheduled to have the pool redone to the same standards as the Phase 1 pool. We waited until the winter so we did not disturb your use during the summer. response from property - Nov 27, 2018 Thank you for your review and posting. I see you marked noise on a low level, is there anything we can do to help with this? response from property - Dec 06, 2018 Thank you for your review. We are very happy that Bulldog Village reminds you of home, that is what we strive for. Are you having the same noise issue? response from property - Dec 06, 2018 Thank you for your time and review. We are very happy to hear that you love it here. We want you to be comfortable and relaxed during your stay with us. Convenient locationsubmitted by Sierra S. - Nov 06, 2018 |Recommended: YesBeing close to the school walking distance is convenient. Maintenance employees asses problems and fix them as soon as possible. Employees are very professional and friendly. Good, but can do better.submitted by Jazmin S. - Oct 30, 2018 |Recommended: YesIt's nice conveniently near school and stores. Attention to apartment's readiness and cleanliness before residents move needs work. But staff is very kind and helpful. response from property - Oct 31, 2018 Thank you for your review. Are there any suggestions you may have for us to help us better your stay here? I see you rated the noise as an issue, please let us know what noise your referring to so we can remedy the issue and you can have a relaxing home.